If you are a gamer or a graphic artist, and are seeking a good, high-resolution, but cheap gaming mouse, the Microsoft SideWinder gaming mouse is just right for you. It is compatible with Windows XP and Windows Vista. The Microsoft SideWinder gaming mouse is a precision laser mouse. It weighs around 1.1 pounds and measures 9.1 x 2.8 x 9.1 inches. It has won the hearts of many of its users with its contoured shape. This mouse is slightly on the bigger side. You can find many smaller notebook travel mice. The size and shape of this mouse is comfortable for everyday use. It has a balanced shape. You can adjust the weight of this mouse. It has a tray where you can add weight between 0.18ounces and 1.1 ounces. Some of you may ask “what’s so great about this feature?” People who have used a high sensitivity mouse understand this feature’s usefulness. Additional weight is critical. The Microsoft SideWinder gaming mouse is very sensitive to movement at 2000 DPI setting; so sensitive that you could probably use it as a Seismometer in an earthquake zone. Without any weights inside this mouse, the cursor will seemingly move by itself. The laser technology detects even the slightest vibration at the highest sensitivity setting. It has five main programmable buttons, enabling you to fully customize. This feature will give you to have an edge over your competitors while playing games. The forward/back buttons and the metal scroll wheel are impressive. The one-touch Quick Launch button (with the silver SideWinder logo) helps you to go to Games Explorer in Vista in a jiffy. It launches IntelliPoint software in XP. Programmable macros and profiles for game settings can be customized as well, saving time. 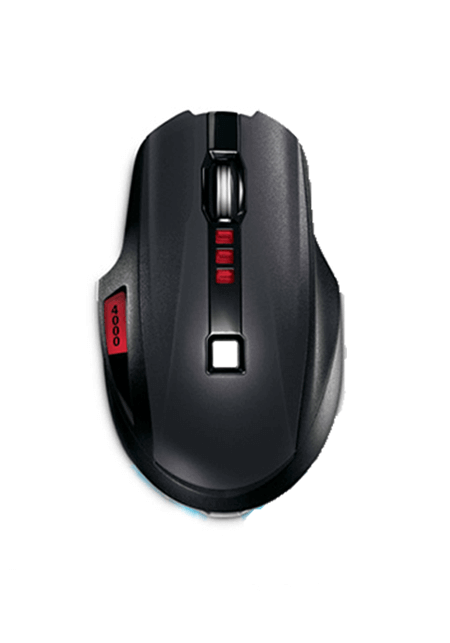 You will find macro recording icons and DPI settings on the LCD display of the mouse. This reduces onscreen interference, thereby increasing your efficiency. The Microsoft SideWinder gaming mouse is the first to use a built-in LCD using a red backlight. This feature helps you to enjoy your game without any distractions. 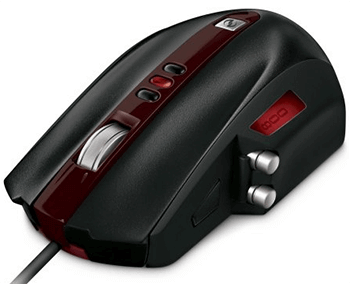 The Microsoft SideWinder gaming mouse is designed as a plug and play. You need not install any software to use it. The macro record button enables you to program in-game macros for faster game play. The mouse’s three on-the-fly DPI switching buttons enable you to switch between DPI 400, 800 and 2000. Thanks to a special software, you can also customize settings. Thanks to the Cable Anchor & Accessories Storage Box feature, you feel as if you are using a wireless mouse. Adjust the length of the cable to enjoy a wireless feel. You can use the holder to store accessories. The Microsoft SideWinder gaming mouse offers only three preset DPI settings. The mouse does not score full marks in ergonomics due to the odd location of the forward button, back button, and the “macro record” button. The quality of the USB cable does not match up to that of the mouse, appearing somewhat fragile. 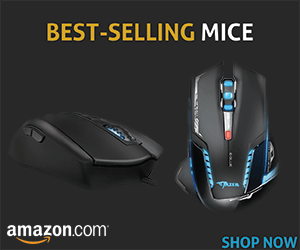 Even though you cannot say that the Microsoft SideWinder is the best wired gaming mouse in the market, it is definitely among the top durable and high-performance gaming mice.